The Yamunotri and Gangotri national highways and 16 motorable roads in the state, including Tyuni-Chakrata-Mussoorie Road, remained closed on Thursday following snow. However, relief is likely from Friday with the meteorological department predicting clearer skies. 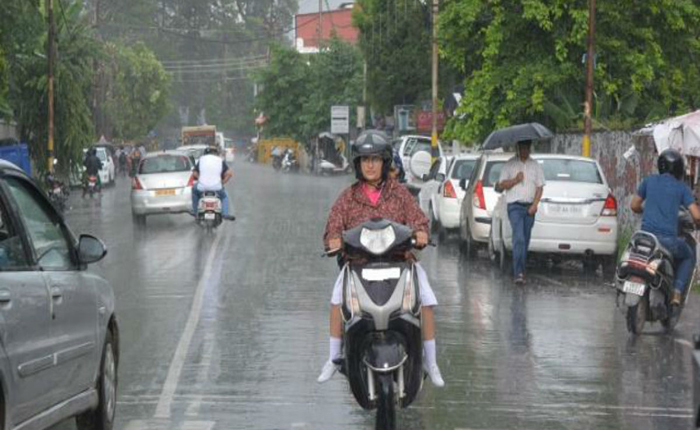 Meanwhile, Dehradun witnessed drizzle and cloudy skies on Thursday, bringing the temperature down by several notches. The maximum temperature was recorded at 3 degrees Celsius in the city. While 5 roads were blocked in Uttarkashi following snow, four roads were blocked in Dehradun district. 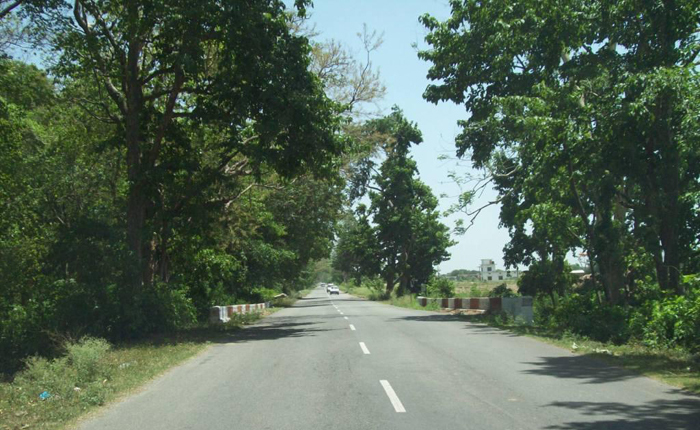 These included Dirnad-Purtad Road, Thanar Road, Daragarh Road and Koti-Rajanu Road. "Efforts are on the clear snow from roads," said district magistrate SA Murugesan. It was earlier reported that tourists had been stuck in hotels near Chakrata following snow. Four Delhi-based tourists stuck in a hotel in Lokhandi had to be rescued by a team of the State Disaster Response Force (SDRF) on Tuesday after the road to the hotel was blocked by snow. Meanwhile fresh snowfall was reported from higher reaches in Himalayas near Char Dham shrines. Bageshwar reported up to five feet of snowfall on Thursday. In Uttarkashi district, Yamunotri highway was blocked from Phulchatti to Janki Chatti after snowfall. Meanwhile, traffic movement ahead of Songad area was disrupted due to a layer of ice on the road. Besides, Kamad-Ayarkhal, Naitwad-Sewa, Mori-Sankari and Pasa-Painsar link roads were also blocked. Devendra Negi, SDM Bhatwari, said, "BRO, NHAI and PWD workers are working round the clock to restore traffic in the affected areas. Traffic movement will hopefully be restored by Friday." The Met department said that skies would remain clear from Friday but drizzling is expected in certain areas. "From Friday, the sky would remain clear in most parts and weather would generally be dry. However, Uttarkashi, Chamoli, Pithoragarh and Rudraprayag may see some rainfall on Sunday and Monday," a Met official said. Union minister of state for home affairs, Kiren Rijiju visited the military post of Rimkhim hear the Indo-China border in Chamoli district on Wednesday to take stock of the situation. During his visit, the minister also met the Army and Indo-Tibetan Border Police (ITBP) personnel and sought their feedback on the border situation. The minister had come to Uttarakhand on Tuesday 29 January 2019, anad visited the ITBP's Mountaineering and Skiing Institute at Auli to inspect the facilities. The minister was accompanied by director general, ITBP, SS Deswal and Other senior officials of the Army. 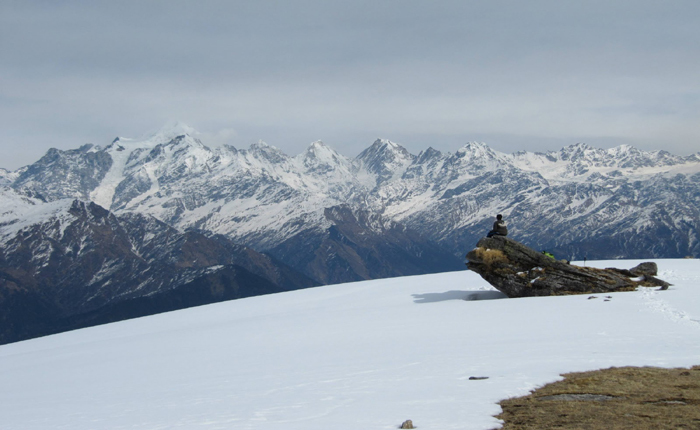 "We have one of the biggest mountaineering and skiing institutes at Auli, where the minister first inspected the facilities and then interacted with over 200 trainees," said a senior ITBP official. 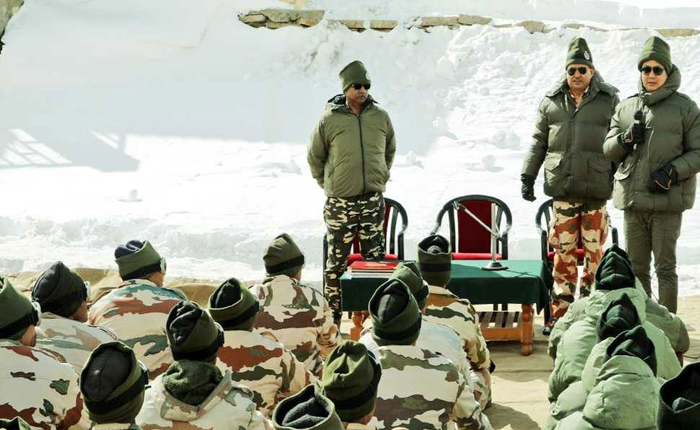 "The minister stayed at the institute on Tuesday night and on Wednesday morning visited one of our border outposts Rimkhim which is over 12,000 feet above sea level," said the ITBP official. Munsiyari remained cut off for the 9th consecutive day on Wednesday due to the closure of Thal-Munsiyari Road Following heavy snowfall on January 22. Residents said that the snowfall has partially blocked the Thal-Munsiyari Road, a 14 km stretch which connects Munsiyari town to Ratapani and extends further towards Pithoragarh. As a result, many families are facing shortage of daily necessities such as vegetables, milk and pulses. Devendra Singh, a local resident, said that we have been cut off from the nearby market place for over a week now. All our stocked food items are gradually getting over. If the road is not cleared soon, our situation will become extremely precarious. The roadblock is affecting tourism too as several tourists have shelved their plans to visit the area. Puran Pande, a local hotelier, said, "At least 12 people have cancelled their bookings in my hotel, citing road blockage. We are usually happy to witness snowfall as more tourists visit us then. But this time, the situation is worrisome. We urge the administration to clear the road soon; else our business will suffer further." When queried, officials said that personnel of the public works department (PWD) have been trying to remove snow from the stretch and restore traffic movement, but continuous snowfall had made their task difficult. Umesh Kumar, Junior engineer, PWD, said, "We have been trying to clear the stretch since Sunday but the continuous snowfall is creating a lot of difficulty. On Wednesday, we had deployed three JCB machines and cleared snow from around 10 km of the stretch. If the weather remains favorable, we are hoping to clear the entire stretch and restore traffic movement by Thursday." Uttarakhand government has recently shown its clear purpose for construction of a highway right through Corbett National Park (CNP) by formally handing over survey work to Wildlife Institute of India (WII). It proposes to start construction work once WII completes the survey. However, this seems to be an inconsiderate decision in the light of earlier developments and court rulings in the matter. Out of 90 km of this proposed road, 50 km passes through the core area of Corbett National Park, In 2005, Supreme court while rejecting this route had directed for an alternative road outside the periphery of the park so as not to disturb wildlife. In December 2016, the Uttarakhand high court had ruled to declare 10 km of the area around Corbett national park and other parks and sanctuaries in Uttarakhand as an eco-sensitive zone and barred any fresh construction in this zone. In December last year, the environment ministry had asked all the states not to propose new roads through protected forests. Further, the ministry along with the national Board for Wildlife and National Tiger Conservation Authority in an affidavit to the NGT had raised an objection to the proposed road citing that construction work on the 50 km would cut through the core area of Corbett and pose a threat to the big cat population. Also, India is party to the St Petersburg Declaration on Tiger Conservation of 2010 which commits to making the 'critical tiger habitats breeding area' as an inviolate area where no economical of commercial infrastructure development or other adverse activities are permitted. With all these reasons, it is ironical that a project which can kill Corbett is being reopened for construction. As it is known that wildlife is getting reduced with time and is facing threats of climate change. Therefore, it is high time for intervention at this stage. Else, it would be too late and damage to the wildlife of a very sacred park may well be irreversible. As a result of heavy snowfall at the Himalayan shrine, the reconstruction work at Uttarakhand�s Kedarpuri has been suspended for the next 10 days. 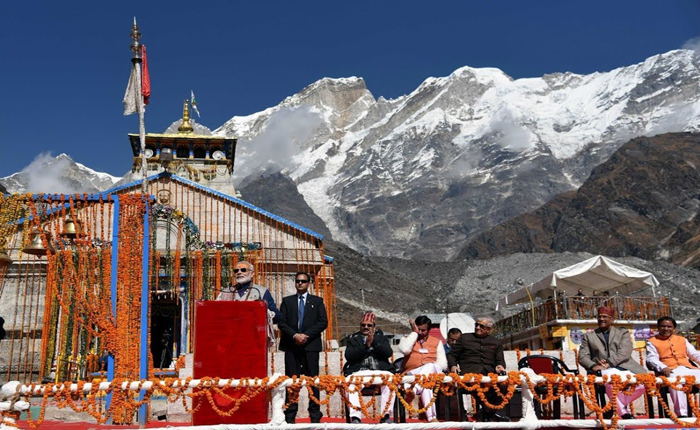 PM Modi has been closely monitoring the reconstruction work at the famed temple which was hit by flash floods in 2013. Following heavy snowfall at the Himalayan shrine over the past few days, nearly 7-8 feet thick layer of snow has accumulated in the area making it impossible to continue the reconstruction work, Rudraprayag District Magistrate Mangesh Ghildiyal said. Heavy snowfall in the area has also damaged some huts of the Garhwal Mandal Vikas Nigam, some electric poles and transformers in the area, affecting power supply to the shrine, he said. "It has been decided to suspend all work there for at least 10 days," the DM said, adding it will be restart after the specified period depending on the weather. 35 people engaged in the reconstruction work at the famous temple, including 28 labourers, have returned to Gaurikund due to the suspension of the work. During his last visit to the shrine, Modi had spent about an hour there taking stock of the reconstruction work. The reconstruction work at Kedarpuri is likely to be one of the BJP's main poll planks in 2019 because of its countrywide appeal. The project includes reconstruction of Adi Guru Shankaracharya's samadhi which was washed away in the 2013 tragedy, the houses of teerth purohits, besides a number of other works.